You’re reading novel The Good for Nothing Seventh Young Lady Chapter 611 online at LightNovelFree.com. Please use the follow button to get notification about the latest chapter next time when you visit LightNovelFree.com. Use F11 button to read novel in full-screen(PC only). Drop by anytime you want to read free – fast – latest novel. It’s great if you could leave a comment, share your opinion about the new chapters, new novel with others on the internet. We’ll do our best to bring you the finest, latest novel everyday. Enjoy! Shen Yanxiao was astonished by the keen perception of the demon. She had also been curious as to what Lan Fengli was in the demon's perception. But obviously, even the most powerful higher demons could not see the true ident.i.ty of Lan Fengli. "Demon?" Du Lang looked at the five guys behind Shen Yanxiao in surprise. Vermillion Bird and the two Phoenixes were indeed magical beasts, but a demon? Could it be that between Lan Fengli and Fu Tu there was... a demon? Fu Tu shrugged then put one of his hand before his own eyes. A second later, the same purple eyes appeared in people's sight. At this moment, the members of the Cave Wolves Mercenary Corps were all like they had been struck by a lightning. The villagers, on the other hand, did not respond. Their understanding of the demons was the same as Lan Fengli's. "Don't be so nervous, I won't eat you anymore." Fu Tu looked at the ashen faces of the mercenaries who had been boisterous and frivolous the whole journey. He nastily sent them a flying kiss. "It's my first time seeing such an interesting human being, but even so, your arrival in The Rising Sun City will not change anything." 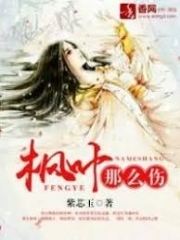 The two higher demons smiled after observing the situation over Shen Yanxiao's side. 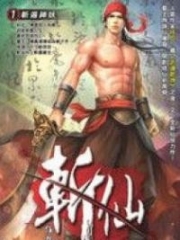 Shen Yanxiao looked at the two handsome demons and smiled as she said, "That is really a pity. The purpose of my visit is to change everything here, The Rising Sun City, and the demons residing in The Rising Sun City." “Oh? What a big talk! Do you know how many demons are here in The Rising Sun City? There are 37,800 lower demons, 6,790 middle demons, and 230 higher demons. The four countries of the Radiance Continent cannot even completely wipe out the demons on the Barren Land. How much skill do you have? You said you want to change everything in The Rising Sun City? With the three magical beasts behind you? Or with that traitor to the demons? Or with that little guy with unknown origin?" "Oh? Is it?" Shen Yanxiao raised an eyebrow. She no longer spoke another word of nonsense and just raised one of her hand! Vermillion Bird, male Phoenix, and female Phoenix turned into flames at the same time. Three groups of flames bloomed on the sky and gradually extended. Suddenly ma.s.sive flames were formed in the sky above The Rising Sun City. The scarlet flames illuminated the entire city and reflected the whole sky. The moment the flames faded, three huge fire birds soared into the sky. Three pairs of unfolded flame wings covered almost the entire city. The smiles of the two higher demons solidified at the corners of their mouth, and they stiffly stared at the three giant fire birds above the sky. "Phoenix and Vermillion Bird... those magical beasts are actually three Mythological Beasts!" The tone of voices of both demons had changed, and their original n.o.bleness and elegance had long been replaced by panic. Although they could tell that Vermillion Bird and the Phoenixes' level was not low, they did not think they were actually Mythological-level magical beasts! Although higher demons were powerful, they could not compete with Mythological Beasts at all. What's more? There were three of them. “When did a human become capable of having so many Mythological Beasts in their hand?” Even if you kill these two higher demons, they definitely would not have thought that someone in the world could release three Mythological Beasts at the same time! Looking at the whole world, and even on each continent, apart from the already extinct G.o.d Race, there was no other race that could control three magical beasts at the same time! However, they did not feel the G.o.d's breath in Shen Yanxiao's body. The G.o.d Race that had long been extinct for thousands of years had long since disappeared in this world. They even witnessed the destruction of the G.o.ds. You're reading novel The Good for Nothing Seventh Young Lady Chapter 611 online at LightNovelFree.com. You can use the follow function to bookmark your favorite novel ( Only for registered users ). If you find any errors ( broken links, can't load photos, etc.. ), Please let us know so we can fix it as soon as possible. And when you start a conversation or debate about a certain topic with other people, please do not offend them just because you don't like their opinions. You're reading The Good for Nothing Seventh Young Lady Chapter 611. This novel has been translated by Updating. Author: North Night,夜北 already has 3149 views. Current Time is Apr-24-2019 00:04:58 AM.